Over the past month, I have been preparing a new help file for eDocEngine VCL. And, this was the first time I began using it. eDocEngine is a great component suite for Delphi/C++Builder developers to create text documents, spreadsheets, images, and clipboard content. The content creation tools in the product have their API but they support regular canvas operations that developers might already be familiar with. Using the JPEG engine that comes with eDocEngine, I rendered this image on a "page" that was exactly the same size as the image. 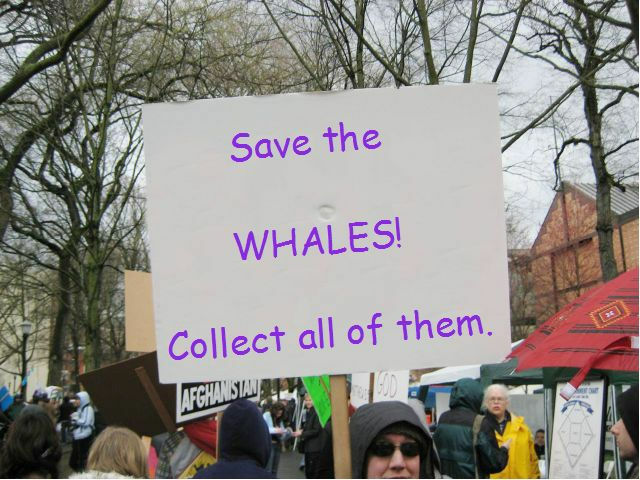 Then, I set about adding my own text over the protest sign. DISCLAIMER: Gnostice has no stand on cartoons or whaling. The template image was found on a site that deals with obscure protest signs.